In an age of increasing focus and transparency, ensuring the right measurements for sustainability allows suppliers, employees and customers to know that your company is working to make sustainability a reality. 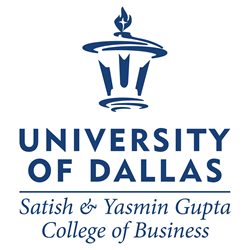 The University of Dallas Satish & Yasmin Gupta College of Business will host a panel discussion on Friday, April 11, covering the ways that companies are profiting by measuring sustainability performance. EarthPeople, a sustainability communications and consulting firm, is the presentation partner for the UD Business and Society Network. The University of Dallas’ Business and Society Network (BSN), a recently established open forum for building relationships, exchanging best practices and fostering dialogue around issues of corporate social responsibility, is organizing the event. Terri Scannell, director of corporate citizenship and sustainability for VHA, who will deliver the keynote presentation. The upcoming panel discussion is the second in a series from the BSN, with the previous panel discussion hosting Garrett Boone, The Container Store co-founder and chairman emeritus and Treehouse investor; Nathan Joe Loftice, FedEx Office sustainability leader; and Nelly Rocha Andresen, vice president of quality, environment, health and safety and senior corporate counsel for eRecyclingCorps. EarthPeople is a communications and consulting firm that helps organizations profit from branding, corporate social responsibility, sustainability and public relations strategies. Since launching in 2005, EarthPeople has helped start-ups, non-profits, municipalities, and Fortune 500s strengthen brand equity, human capital, and environmental leadership. Among its services, EarthPeople provides specialized communications, consulting, reporting, GHG and plastic disclosures, training, publishing, and stakeholder engagement. For more information, visit http://www.earthpeopleco.com. The Satish & Yasmin Gupta College of Business, which grants master of business administration, master of science and, now, doctor of business administration degrees, has become one of Dallas/Fort Worth’s most popular choices for graduate business education. In November 2012, the college received accreditation from AACSB International, a distinction earned by fewer than five percent of business schools worldwide. For more information, visit http://www.udallas.edu/cob. The University of Dallas, located in a metropolitan area of nearly seven million people, is a leading Catholic university widely recognized for academic excellence by well-known publications, organizations and accrediting bodies. It offers distinctive individual undergraduate, graduate and doctoral programs in the liberal arts, business and ministry that are characterized by an exceptional, engaged faculty, a commitment to shaping principled, well-skilled leaders and academic rigor in the Catholic intellectual tradition. For more information, visit http://www.udallas.edu.